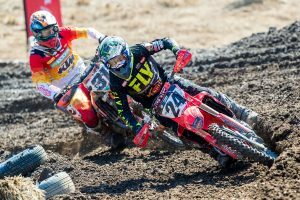 Struggling to find comfort at the Victorian venue, Luke Clout salvaged a podium in an admittedly off day during Broadford’s third round of the 2019 Pirelli MX Nationals. Fresh from a maiden victory two weeks ago at Wonthaggi, Clout acknowledged early in proceedings at Broadford that it was going to be an uphill battle, however the CDR Yamaha Monster Energy rider prevailed with consistent results, ranking fourth in the back-to-back Sprint races before completing moto three in third for the final spot on the podium. 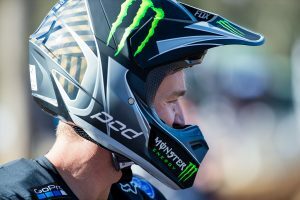 “I was just struggling more with myself, I didn’t gel with the track,” Clout told MotoOnline.com.au. “I struggled with how it formed and I just never really felt comfortable, so to hit a podium on a off day, I’m going take it. 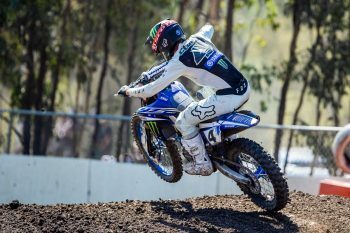 The popular New South Welshman maintains second in the championship standings, five points adrift of leader Hayden Mellross (Raceline KTM Thor).